The first Miss Earth beauty pageant was launched by Carousel Productions in 2001 to actively promote the preservation of the environment. Miss Afghanistan 2003 Vida Samadzai was the first candidate of Miss Earth to win the special award "Beauty for a Cause" and she helped in establishing a US-based women's charity that seeks to raise awareness of women's rights and education in Afghanistan. Samadzai was the first Afghan woman to compete in an international beauty pageant in almost three decades, but the fact that she wore a red bikini caused an uproar in her native country. Brazil became the first country to have a winner in all four major international pageants when Priscilla Meirelles won the title in 2004. The following year, Alexandra Braun completed the grand slam for Venezuela. Miss Earth also made headlines in 2005 when a Pakistani beauty queen, Naomi Zaman, a Miss Pakistan World winner participated for the first time. She is the first delegate from Pakistan to compete in any major international pageants. Beauty pageants are frowned-upon in Pakistan. 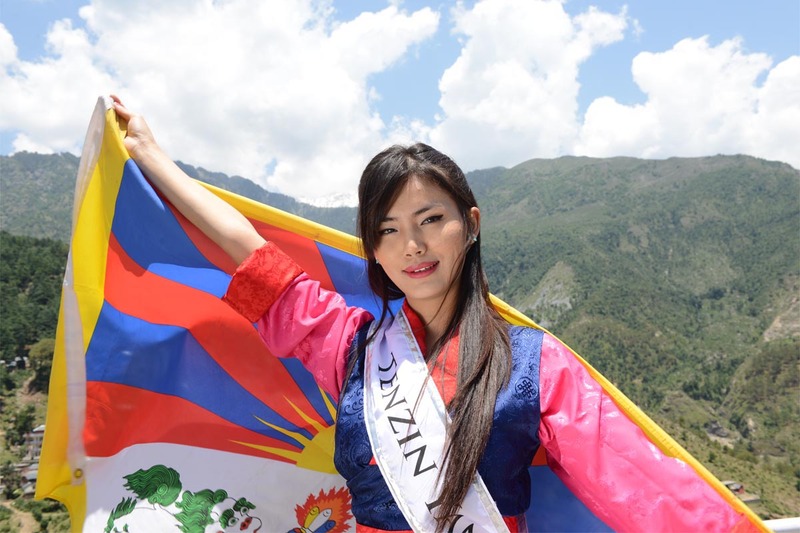 Miss Tibet Earth 2006 Tsering Chungtak was the first Tibetan who represented Tibet in any major international beauty pageants made headlines. Aside from her environmental cause, she raised international attention regarding the Tibetan struggle for freedom. She also advocated for the boundaries of acceptable social etiquette towards modernity, in a traditionally conservative Tibetan culture, where most grown women wear ankle-length dresses. Nevertheless, her participation in the pageant received an approval from the Dalai Lama and she made more headlines in December 2007, when she withdrew her participation in the Miss Tourism contest, a minor international beauty pageant held in Malaysia, after organizers reacted to pressure from Beijing and asked her to add "China" to her "Miss Tibet" title by wearing a sash labeled "Miss Tibet-China". Miss Earth made history in 2007 when delegates from China, Hong Kong, Macau, Taiwan, and Tibet competed altogether for the first time in any international pageant notwithstanding its international conflict. On 9 November 9, 2008, the pageant was held for the first time outside Metropolitan Manila. It was held at the Clark Expo Amphitheater in Angeles City, Pampanga and in 2008, the Buddhist Kingdom of Bhutan, one of the world's most isolated nations, sent its first Miss Bhutan, Tsokye Tsomo Karchun. following a month after Rwanda became the first country in history to elect a national legislature in which a majority of members were women in September 2008, both of them competed at the Miss Earth 2008 pageant. The coronation night venue for Miss Earth 2009 was held at the Boracay Ecovillage Resort and Convention Center in the Island of Boracay, Philippines which was the first time that the pageant was held outside Luzon Island. The coronation night venue for Miss Earth 2010 was held at the Vinpearl Land Amphitheater at Nha Trang, Vietnam which was the the first time that the pageant was held outside the Philippines. Miss Earth 2015, the 15th edition of the Miss Earth pageant, held on 5 December 2015 at Marx Halle, Vienna, Austria was the first time that the pageant was held outside the continental Asia and the first Miss Earth pageant that was held in Europe, concurrent with the United Nations Climate Change Summit in France. 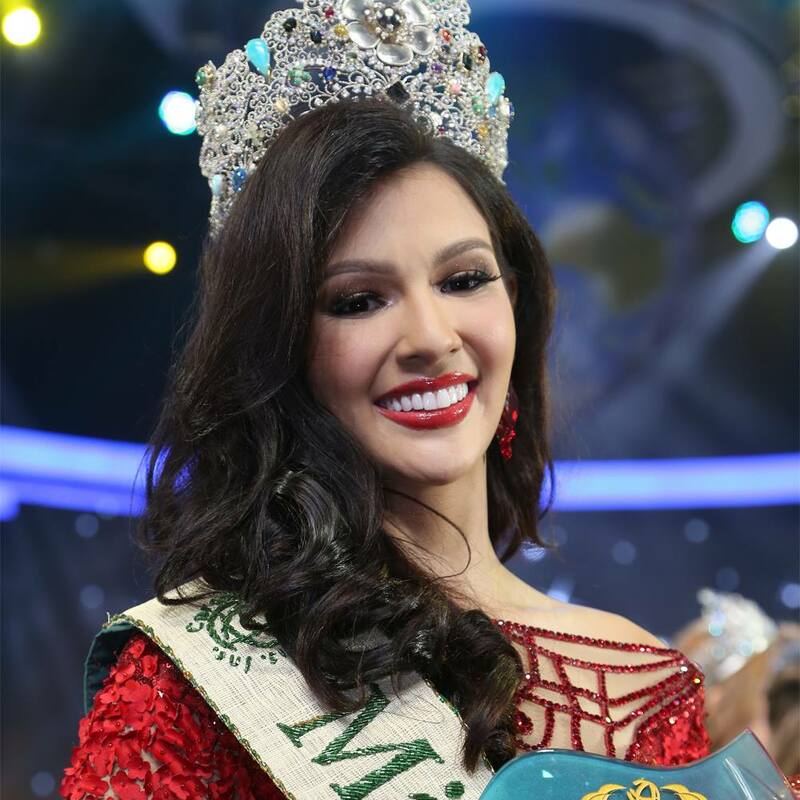 Jamie Herrell of the Philippines, Miss Earth 2014. Brazil is the first country to win the Miss Earth crown twice (2004 and 2009). Followed by Venezuela in 2005 and 2013.